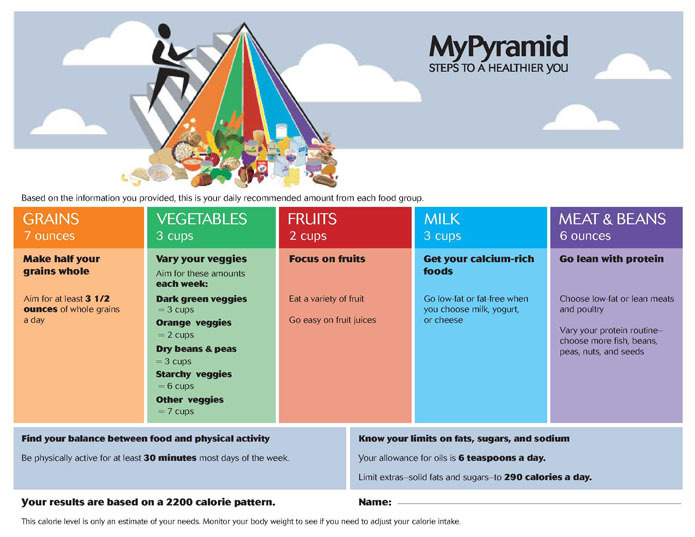 MyPyramid illustrates the five food groups that are the building blocks for a healthy diet using a familiar image -- a place setting for a meal. Before you eat, think about what goes on your plate or in your cup or bowl. To learn more about building a healthy plate, select a food group below.